It’s not uncommon for to hear white people refer to themselves as “mutts.” This reference to mixed-bred dogs is intended to convey that these white people consider themselves mixed to the point of having no coherent racial identity. I recall one conversation in which a white friend referred to himself as a mutt and then proceeded to list the diverse Northwestern European tribes and nations from which he descended, making sure to include the family tradition that he was also descended from a Cherokee Indian. This isn’t an uncommon sentiment among whites who argue that race is a mere social construct and that everyone is mixed with ancestry from all racial groups. The reality of race is confirmed through a variety of means. Forensics, molecular anthropology, linguistics, and other factors all confirm that there are distinct racial subcategories within the species of mankind. Many white Americans make claims of racial admixture that simply don’t withstand serious scrutiny. For example, many Americans mistakenly believe that they have American Indian ancestry. This common myth underlies a general confusion about the history of mixing and reproduction. It is true that many people have ancestors in their genealogy from every racial group. It does not therefore follow that everyone is “mixed” in any meaningful sense. To understand this we need to distinguish between genealogical and genetic ancestors. Ted Sallis has provided an excellent overview of this subject on Counter-Currents, so it isn’t necessary to rehash this in exhaustive detail. The distinction between genetic and genealogical ancestors is derived from the finite number of genes in the human genome. There are approximately 20,000 protein-coding genes, and we receive half our genes from each of our parents, and they received half of their genes from their parents, and so on. This process continues for several generations until we reach ancestors so remote that all of their genes have been filtered out of our genetic makeup. For several generations all of our ancestors contribute something to our genetic profile, but remote ancestors may or may not. The reality of race is based upon the genes that we inherit and from whom they are inherited. The number of ancestors we have increases exponentially with each passing generation. This means that any given individual will have more ancestors than the number of people living several hundred years ago. This doesn’t mean that everyone living at the time is a direct ancestor of everyone living today, because most people’s ancestors are clustered together in one particular region. Most people can easily be identified with one racial group and usually one or two similar ethnic groups. In these cases, the genes that they inherit are from a group of closely related individuals who appear in their genealogy several times over. We can use the example of someone who is Norwegian. A typical Norwegian’s ancestors will have resided in Norway for thousands of years, and the majority of those that were not in Norway would have been from other countries in Scandinavia. Only a tiny sliver would have come from other regions, and of these, only an infinitesimal number would have come from different, non-Caucasian racial groups. Genes which are stereotypical of the particular racial characteristics of Norwegians such as blonde hair, blue or green eyes, and fair complexion are passed down and inherited by Norwegians because other genes were filtered out long ago. The cluster of Norwegians living thousands of years ago will inevitably appear several times over in the genealogies of modern Norwegians, which means that modern Norwegians will inherit these genes through one route or another. By contrast, ancestors from outlier groups, especially racial or ethnic groups very distinct from Scandinavians, will appear in their Norwegian descendant’s family trees only a few times. The distinct genes that they initially passed on would have been filtered out by several generations of reproduction with people who are predominantly Norwegian. The same trend is observable for any distinct ethnic group. This also fits the pattern we see described repeatedly throughout the Bible. The Bible describes a hierarchy of hereditary relationships radiating outward from the family to the clan, tribe, nation, ethnic group, and race before encompassing all of mankind. The Bible also uses the Hebrew word mamzer (Strong’s H4464) to denote someone who is the product of a forbidden union, a category of this is mixed-race persons (Zech. 9:6). Even if the meaning of mamzer is uncertain, the Bible mentions mingled people or populations in several places (Ezr. 9:2; Jer. 25:20, 24, 50:37; Ezek. 30:5; Dan. 2:43). The prophet Jeremiah assumes a uniform appearance of Ethiopians or Cushites (Jer. 13:23). These references to mingled populations are unequivocally negative – as well as meaningless, if everyone was considered mingled or mixed as the ordinary expectation. This leads to the question of why so many white people at present consider themselves to be “mutts.” Are whites more mixed than non-white nations? Have whites historically considered themselves to be mixed? The answer to both questions is an obvious no. I believe that the reason so many whites choose to identify as mixed-race “mutts” by appealing to some purported remote admixture, whether real or imagined, is that white identity is under relentless attack in modern times. Mainstream academics, entertainers, politicians, and other celebrities openly call for white genocide. Noel Ignatiev of Harvard University calls for the abolition of the white race. (Calm down: Ignatiev claims that he only seeks the “cultural and psychological genocide of whites,” not the murder of individual white persons. Phew!) Not content with half-measures, former NC State professor Kamau Kambon suggested that the only solution to racial injustice was to “exterminate white people off the face of the planet.” Calls for white genocide have continued apace with the rise of social media. Mainstream outlets like Twitter and Facebook routinely allow hatred and vitriol against whites to be spewed on their platforms with impunity while banning and disabling accounts of even mainstream conservatives who dare to simply point out their double standard. Whites who try to pass themselves off as “mutts” are aware that serious genocidal rhetoric against whites has become socially acceptable, even if they refuse to publicly admit that this is the case. 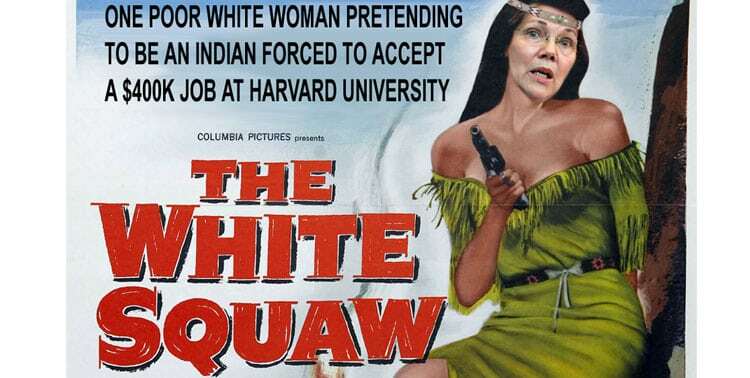 The attempt of whites to claim non-white or at least mixed status based upon remote or even nonexistent non-white ancestors is a vain attempt to ingratiate themselves to a world that is becoming increasingly hostile to white identity. It won’t work. Calling yourself a mutt doesn’t make you any less white than dressing up as a drag queen makes you a woman. You know it, I know it, and those who seek the destruction of white people know it as well. The calls for “cultural genocide” of whites won’t end with the destruction of symbols and holidays or the defamation of historical figures. Eventually all whites will be targeted for extermination. Don’t expect any moral support from Christian clergy. Most pastors have already decided to assist the enemy in the treasonous destruction of their own people. The only path to success is for white people to awaken their sense of pride in being who we are: in being white people.